Colton Thomas Hysinger, 24, of Cleveland, Tennessee, passed away on March 21, 2019. He was born on October 11, 1994, to Edgar Paul and Deborah Ann Hysinger. Colton was a lifelong resident of this area. He loved hunting and fishing and was a great basketball and baseball player. Colton was also an avid sports fan and loved the Tennessee Vols and Florida State Seminoles. He is preceded in death by his grandparents: Patsy Brooks, Ronald S. Brooks, Eddy Hysinger, and Pat Hysinger. He leaves behind to cherish his parents Paul and Debbie Hysinger; brother Cory Michael Hysinger; aunts and uncles: Robin and Paul Kellett, Gene Hysinger, Mike and Tammy Mowery, Spencer and Angie Brooks, and Ilka Copeland; cousins: Samuel Kellett, Caio Hysinger, Whitney Phillips, Logan Brooks, Dallas Brooks, Gabby Cader. In addition to these, Colton leaves behind his Miracle Lake family, whom he loved dearly, especially Pastor Jack Bryan. The family will receive friends from 11 a.m. until 3 p.m. on Saturday, March 23, at Mt. Olive Church of God located at 3522 Harrison Pike, Cleveland, Tn. 37311. A celebration of life service will be held at 3:00pm at the church on Saturday. Interment will follow the service at Lee Cemetery in McDonald, Tn. In lieu of flowers, the family requests that donations be made to Miracle Lake Christian Training Center at P.O. Box 327, Etowah, Tn. 37331. 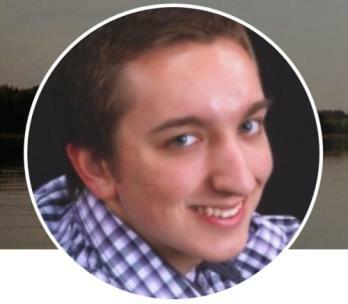 You are invited to share a personal memory of Colton or your condolences with his family at his online memorial at www.companionfunerals.com.